Avian Securities sees iPhone 5 by Christmas 2011 or early 2012 - iPhone.MY - Daily News On Mac, iPhone, iPads, iPods and more! Supporting out comments over the last month, conversations with yet another key component supplier indicates that production for iPhone-5 will begin in September. This is consistent with Avian findings in the supply chain in recent months and we believe the consensus view is moving towards this scenario. In addition, our conversations also indicate the existence of a lower-spec/lower-priced iPhone in Apple’s roadmap. However, while our contacts have seen the placeholder in the Apple roadmap, they do not yet have insight into specs or production timing. This leads us to believe that any launch is likely a very late 2011 or more likely a 2012 event. As a reminder, Avian has uncovered several data-points in recent months pointing to the existence of a lower-spec/lower-price iPhone. A lower-spec/lower-price iPhone has also been speculated in the press and gadget blogs, though we do not believe consensus currently discounts the existence of such a model. What do you guts think? 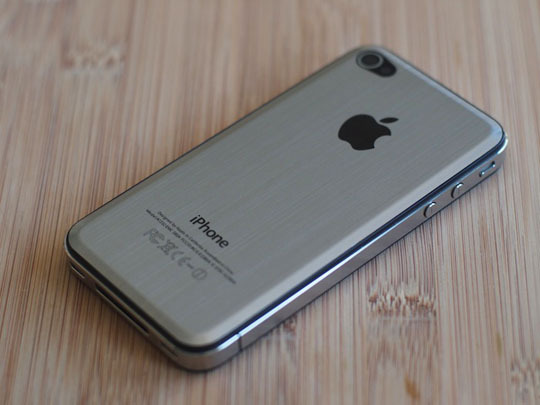 Can Apple really be so confident in iPhone 4 to push back the iPhone 5 to early 2012. This would give anyone in the cutthroat cellphone business, especially the Android camp, ample time to run circles around the iPhone 4. Worse, such a highly unlikely scenario (in my personal opinion) means Apple would be missing on the all-important holiday shopping season because I doubt lots of people would buy last year’s phone – unless Apple slashes the price substantially. On the other hand, a Q1 2012 release makes sense if Apple wants the next iPhone to be a 4G LTE world phone. This would give them an opportunity to use the updated Gobi chipset that combines more functions and consumes less power while giving carriers more time to deploy their LTE networks ahead of the iPhone 5′s release.